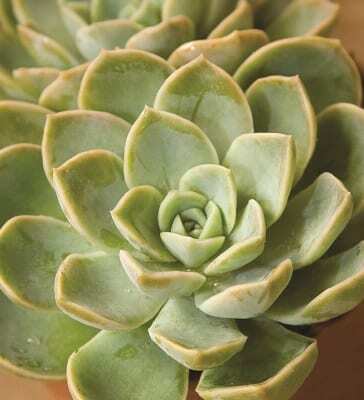 ECHEVERIA elegans (Mexican snowball) has been around for years and it has reached icon status because it is easy to grow, easy to care for and easy on the eye. The sheer beauty of its symmetrical rosettes of tightly packed, fl eshy, dove-grey leaves is enough to send a gardener racing to the potting bench. The true value of this plant is its love of sun or shade. CAREX ‘Amazon Mist’ is a relatively new sedge hybrid with very fi ne, grass-like, curving leaves. 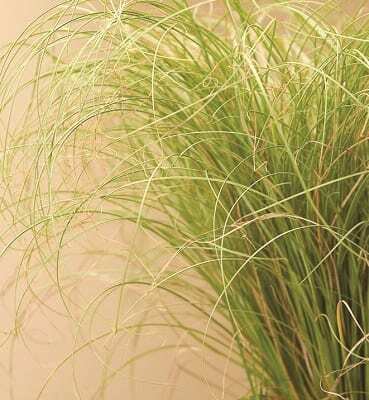 The foliage colour is soft green, turning to a straw colour when it is bathed in bright light. It grows to a height of about 50 to 60cm and spreads to about 45cm. Ornamental grasses, like sedge, look their best in the cooler months and we are truly blessed with all the varieties on the market these days. They look great in pots, whether potted up as a single species or combined with other plants, but to get the best effect in a garden bed they should be planted in bold swathes. 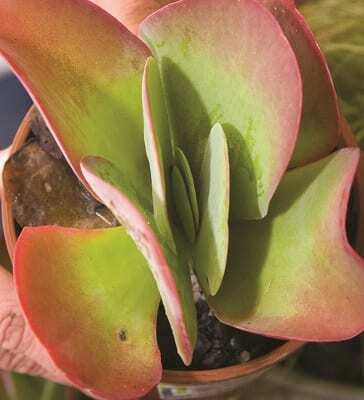 KALANCHOE thyrsifl ora is a piece of perfect ‘green’ indigenous architecture; with its succulent leaves edged in crimson red it deserves the attention of a praise singer all on its own. 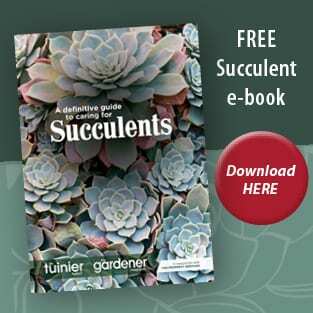 If given enough space the leaves reach the size of soup plates and in autumn and winter the plant sends up a grey coloured flower stalk that can reach over a metre tall and appears to have been dusted with stardust. Its small flowers are milky white or greyish cream. 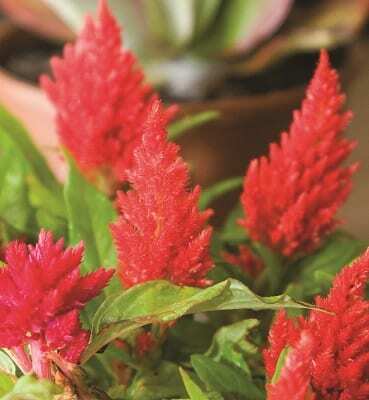 CELOSIA is an upright growing annual that blooms from late summer well into autumn. It must not be over-watered because the showy ‘combs’ will rot. 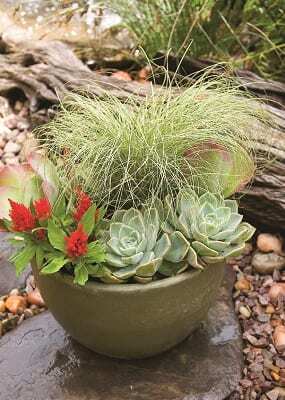 All the other plants in this pot are perennial and will thus continue to look good after the Celosia stopsblooming. Replace it later in winter with red flowering NEMESIA fruticans Sunsatia ® ‘Cranberry’ or one or two KALANCHOE blossfeldiana with their red fl owers (another indigenous succulent that is marketed as a long flowering indoor plant). Sedges combine beautifully with any plant that has a strong form – play around with some of the ground covering Bromeliad varieties, miniature aloes, cacti and other Carex hybrids, like CAREX comans ‘Bronze’. • To keep your sedges neat and free of dead leaves, comb them with your fingers, a small rake or even a hair comb.